Jeff Lange takes you back to June 14th, 1997 on 42nd St & 7th Ave, in New York City. 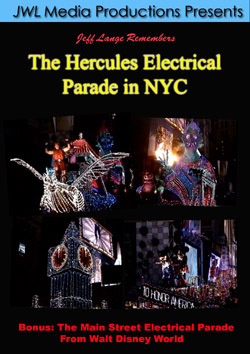 To help celebrate the world premier of Hercules the Movie, The Walt Disney company brought in the recently retired Main Street Electrical Parade from Disneyland and transformed it into The Hercules Electrical Parade. Now you have the rare opportunity to see this one time only extravaganza make it’s way thru Times Square. 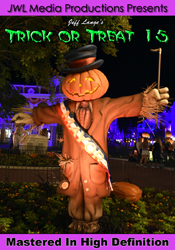 All the classic floats are here with the addition of the special Hercules units and fanfare. You have never seen the Parade like this! 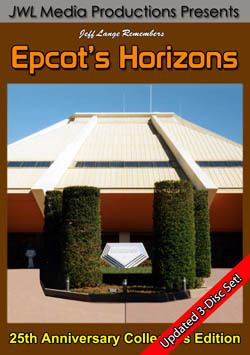 Also included in this very special DVD is the complete Main Street Electrical Parade. 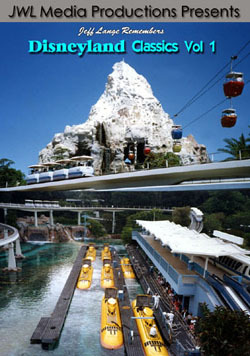 This performance was recorded in 1999 during it’s short return engagement at The Magic Kingdom in Walt Disney World. This was a unique period for the parade as it incorporated some elements of Spectromagic. 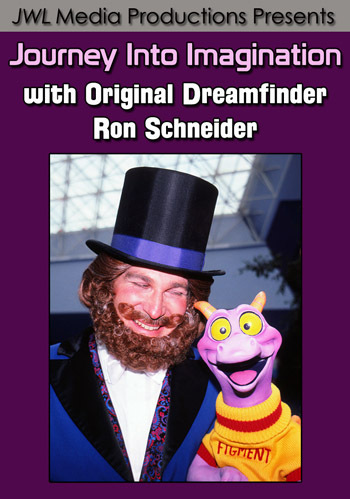 Relive these rare Disney nighttime memories year after year or experience the magic for the first time by purchasing a copy of “Jeff Lange Remembers: The Hercules Electrical Parade in New York City”.